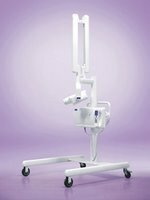 Huntsville Hospital has purchased a Planmeca intraoral digital x-Ray machine for use in the OR. The old unit was having lots of problems and the only processing system was an old style chemical dip-tank. This new unit is top notch. The sensor is a CCD type. The whole unit is on a mobile stand with the computer and flat screen monitor attached. I can't wait to use it. We can now view the radiographs in the OR on the computer screen and then take them back to the office on a memory stick. 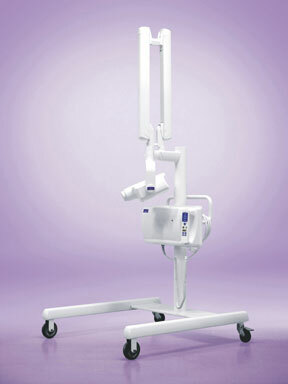 I really like the design of Planmeca radiograph machines. We have several models in our offices (APDA in Huntsville and Madison). They are made in Finland. Check out their site for more information. Check out all the Finnish models, and I don't just mean the X-Ray machines. 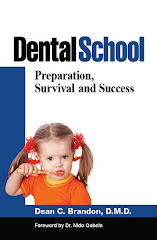 Great information about orthodontics! Your site is very informative! I am a writer for Beauty Secrets 101 and recently posted a blog about braces. Would you recommend traditional braces or something like Invisalign? Which is more effective? Thanks! Oh, I included a link to your site in my article. We use Invisilign, but not often. It is only for non-growing patients, ie. adults. It is useful, but for cases with what I would consider mild crowding. 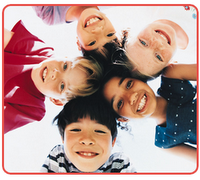 Moderate to severe cases, children, and most teens will need "traditional" braces. You do have options with those like "clear" brackets, gold (which looks sharper than you would think). In addition, you can pick out different colors for the alastics (connects the wire to the brackets)every month. Purple, pink, even black..a fashion statement I guess. Hi :) I'm 15 years old and haven't lost my right 'vampire' tooth. It's very wobbly at the moment and will fall out any day now. However there is a large lump in my gum above this tooth which I'm positive is the adult tooth, as the very tip of it is poking through... How long will it take to come through? Is it possible it will only take a few days? Thankyou. Good luck with that. I usually say if the permanent tooth comes in and the baby tooth is still there for more than a week or so, or just doesn't look right, get your dentist to take a look. A swelling can be other things too, so I would definitely get your dentist to take a look and maybe an x-ray. Hi my 7 yr old girl has cavities. One of her right front tooth fall like 6 months back but still not come out. On a recent X-ray Doctor said some parts still there inside gum and she also need spacing to do. I am looking for advise what is the process of extraction, is it painful? And also how the tooth will come out since very little space between her two teeth. She has no pain or complain.